Countless Americans take blood thinners (or anticoagulants) on a daily basis to prevent heart attack, stroke and other cardiac conditions. In fact, these drugs can save lives for certain individuals who are at risk. However, since blood thinners prevent harmful clotting, this means they pose a risk during surgical or invasive procedures – including those performed by your dentist. If you take anticoagulants, you are at an increased risk for bleeding, and it is imperative that you inform your dentist about your medication before having dental work. Don’t worry; taking a blood thinner is not likely to prevent you from receiving the dental procedure you need, but it may mean that extra precautions should be taken. Always share with your dentist the dosage and name of any anticoagulant or antiplatelet medication you are taking, even if you just started taking it. Your cardiologist (or other specialist) may need to be consulted. In some cases, it may be necessary to order a diagnostic blood test, such as prothrombin time (PT) or International Normalized Ratio (INR), to confirm that the risk outweighs the benefits. This is often reserved for more invasive or complex dental procedures, such as extractions or dental implant surgery. Common prescription names for anticoagulants include heparin, warfarin (Coumadin and generics), clopidogrel (Plavix) and dabigatran etexilate (Pradaxa). However, you should know that regular aspirin and NSAIDS (like Advil) also have anticoagulant properties, so don’t forget to disclose any type of medication to your dentist, even over-the-counter drugs, vitamins and herbs!. When taking an anticoagulant, it will take longer for you to stop bleeding. 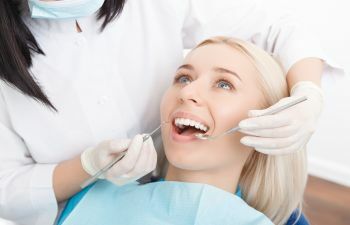 While this may not be a big issue for general dental work like fillings, cleanings and restorations, it does become a notable source of concern for more invasive dental procedures. In general, it is best to schedule your dental work early in the day so that you have plenty of downtime the rest of the day for bleeding to stay under control and your mouth to heal. At Green Dental of Alexandria, we want to know your full medication list before we initiate any dental work. The mouth and body have a remarkable connection, so never dismiss your prescription and health history has irrelevant to your dental health. We are happy to work in conjunction with your medical provider or specialist to ensure you get the dental care you need without compromise to your overall health.